Home Team provides a complete range of services for your factory, commercial or industrial facility’s safe, clean efficient operations. Warehouse Washing provide the full gamut of pressure washing solutions for your warehouse. Our hot pressure washing solution removes stains, stubborn buildup, and other grime. Our hot water pressure washing is ideal for walls and flooring that see a lot of action. Our team works with concrete surfaces to restore their appearance and quality. Is your equipment taking some down time during the winter months? This is the ideal time to fit some important maintenance in. We offer hot pressure washing and degreasing to improve the function and appearance of your equipment. If you’re gearing up for a painting project, we can help. Our prepping solution ensures that the target area is clean, tidy, and prepared for the job ahead. 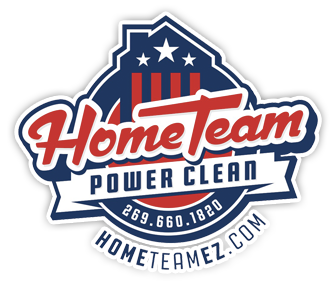 With prompt, reliable service during those winter months, Home Team Power Clean is proud to do our part to keep our customers on the move. When the weather gets cold, we’re just a phone call away!